Essential for the removal of excess nutrients before harvest. 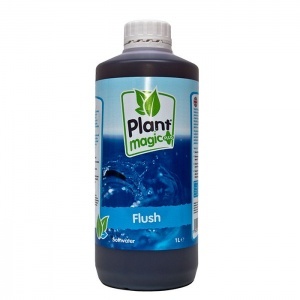 Flush has a boost of hormones that matures the plant, allowing it to use up excess nutrient residues. Essential for the removal of excess nutrients before harvest. Flush has a boost of hormones that matures the plant, allowing it to use up excess nutrient residues. The optimum balance of salts also aids removal of mineral build up in the root zone. Designed specifically for the UK, no pH adjustment required.